As an international language, English has an important role as a means of communication in transfering and gaining knowledge, information, science, technology, art and culture and maintaining international relationship. Because of its importance, English is included as a subject in the school. In the teaching and learning process of English in the Junior High School, there are four macro skills which are taught to the students, namely: speaking, listening, writing, and reading. Those are the basic skills which are taught to and learnt by students. Listening is one of receptive skills which has a very important role in learning English because listening is the language of modality which is mostly used in every conversation or activity. In the teaching and learning process, before students are able to respond to the teacher, they should listen first in order to get the information and the concept. Beside that, listening is also the key in understanding the concept, knowledge, or information which are spoken by speakers. According to the School-Based Curriculum (SBC), listening is the language skill that should be mastered by students. In the Standard of Competence and Basic Competence of the Junior High School, the students are expected to have good ability in comprehending and responding to the spoken language such as in transactional or interpersonal conversation. In this case, listening is an important???? 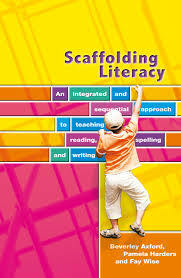 Belum ada tanggapan untuk "IMPROVING THE STUDENTS’ LISTENING SKILLS OF THE STUDENTS THROUGH SCAFFOLDING PRINCIPLES"